Quincy Delight Jones Jr. (born March 14, 1933) is an American music impresario, musical arranger, record producer, and film composer. During 50 years in the entertainment industry Jones' work has earned him more than 70 Grammy Award nominations, more than 25 Grammy Awards, and a Grammy Legends Award in 1991. He is best known as the producer of two of the top-selling records of all time: the album Thriller, by pop icon Michael Jackson, and the charity song ?We Are the World?. Also known for work with Frank Sinatra. During 50 years in the entertainment industry Jones' work has earned him more than 70 Grammy Award nominations, more than 25 Grammy Awards, and a Grammy Legends Award in 1991. He is best known as the producer of two of the top-selling records of all time: the album Thriller, by pop icon Michael Jackson, and the charity song ?We Are the World?. Also known for work with Frank Sinatra. In 1968, Jones along with his songwriting partner Bob Russell became the first African-Americans nominated for an Academy Award in the "Best Original Song" category. 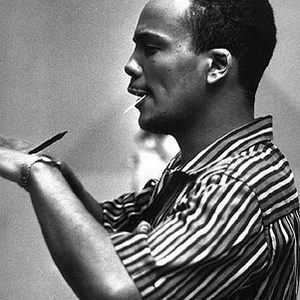 That same year, he became the first African-American nominated twice in the same year when he was nominated for Best Original Score (for In Cold Blood). Jones is also the first (and so far, only) African-American to be nominated as a producer in the category of Best Picture (in 1986, for The Color Purple). He is also the first African-American to win the Academy's Jean Hersholt Humanitarian Award, in 1995. He is tied with sound designer Willie D. Burton as the most Oscar-nominated African-American with seven nominations each.